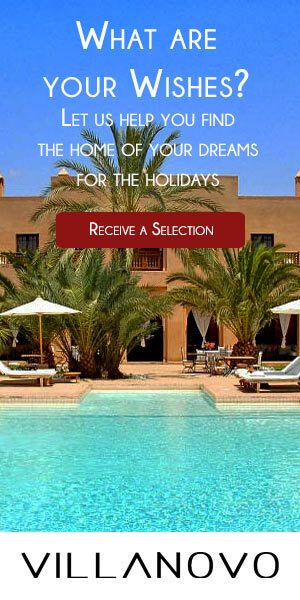 Summer’s calling you for a trip? We’ve got the solution for you. 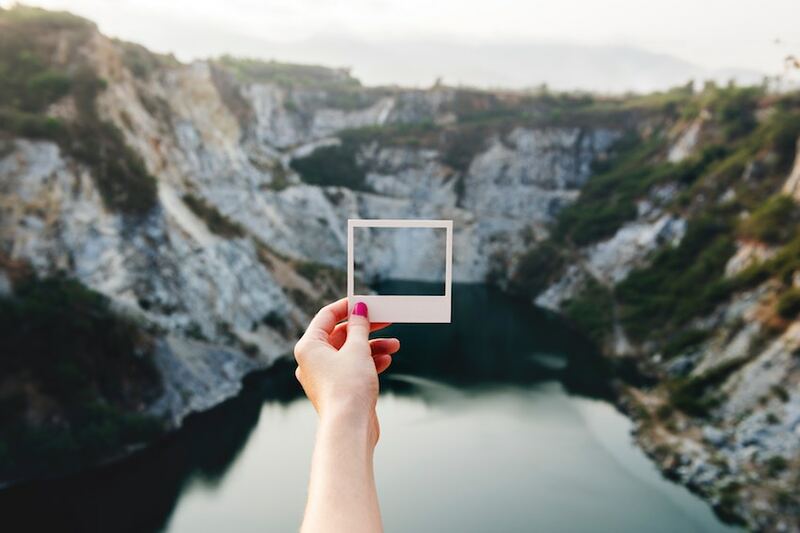 Discover 11 inspiring instagram accounts with pictures from all over the world. Paradise landscapes, spectacular views and endearing people, you may fell under the spell. Selfies inside cockpits, dreamlike landscapes and amazing aerial pictures, here comes the universe of four extraordinary pilots! 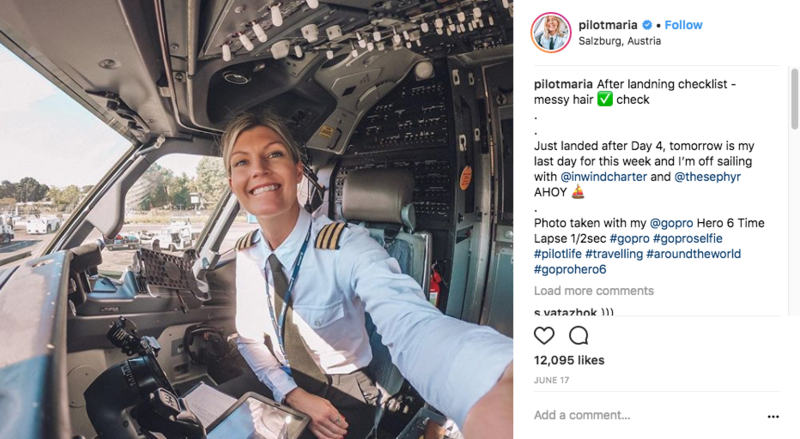 Professional airline pilots Madeleine, Maria F., Malin and Maria P. invite us to follow them all over the world with incredible stunning pictures. On both instagram and their blogs, they highlight their work with a smile. Together or apart, they share their communicative cheerfulness and passion in the air. In an seducing mix of yoga, surf and plane cockpits, how not to be seduced by these unusual great ladies? Travel me happy, a colorful and entertaining invitation to travel! 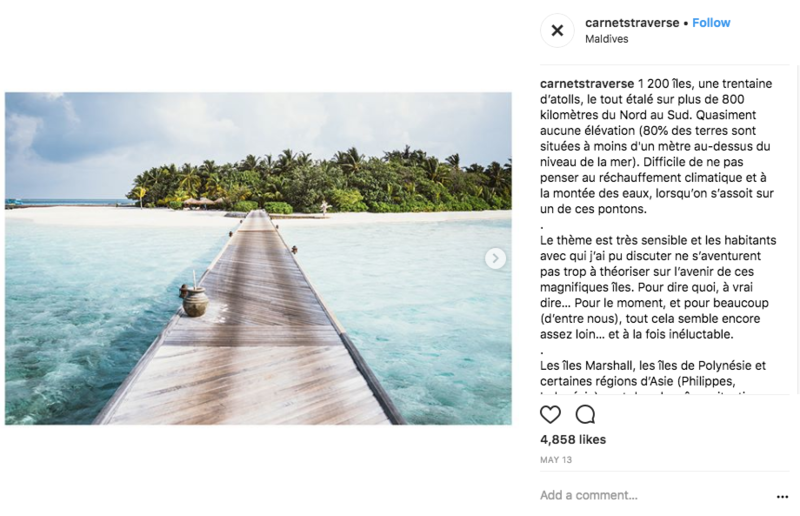 The couple of travellers Capucine and Thibault explore the world and share with you their best tips not to miss a single activity or landscape during your trip. Travel stories and discoveries off the beaten track are the perfect recipe to travel from home and discover new decors. If you’re looking for trip ideas, you’re in the right place! 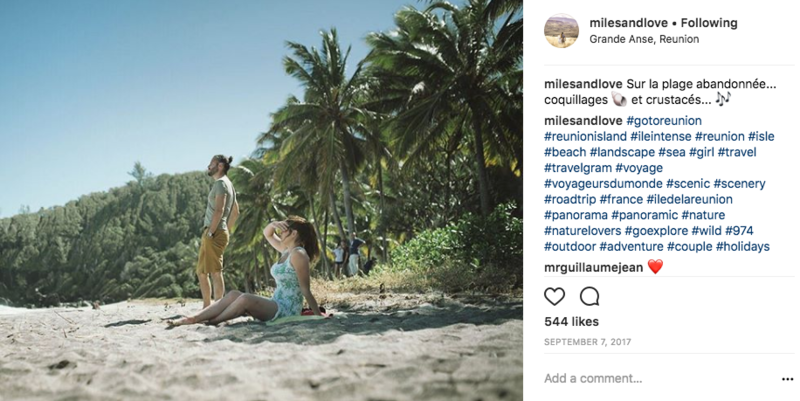 Costa Rica, Greece, Chili, Italy… are some of the countries wandered by Manuelle and Sebastien, also known as Miles and love. Leaving, discovering and sharing is what the couple aims to do casually. They make us travel in the heart of outstanding decors with incredible pictures and articles which will make you want to escape. They share their itineraries, advice and tips to fully enjoy the stay. In sum, they are a nice and authentic couple that we invite you to discover! 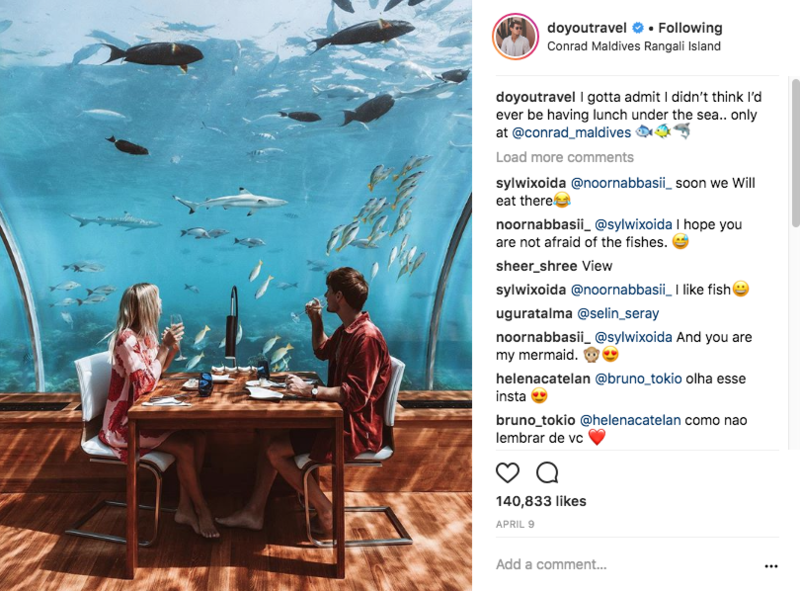 Lauren and Jack make us travel through three of their instagram accounts and respective blogs. With landscape pictures from all around the globe, they share their journey in a special universe with distinctive tones. Jack Morris, known as @doyoutravel, is the travel companion of Lauren Bullen, also called @gypsea_lust. Together, they created @doyoutravelpresets, an account which highlights the changes of before/after modified pictures. An original concept! Moreover, both have their own blogs in which they narrate us their trips trough illustrated articles. Don’t hesitate to have a look for a dose of great inspiration. Carnet de traverse (crossing diary), its name itself makes us travel and gives us the will to know a bit more. 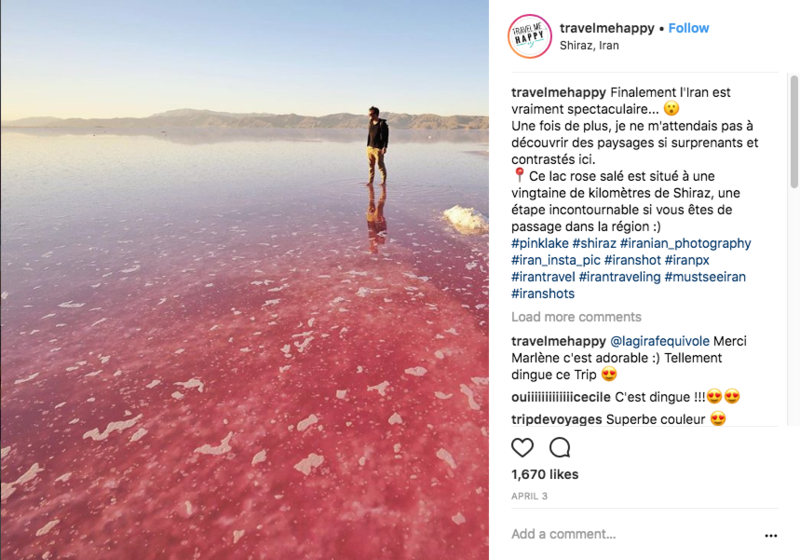 Created by Julie Sarperi and later joined by her companion Renaud Bonnet, their blog is an harmonious mix of photos, guides and good addresses in line with their Instagram account. Their photos present delightful landscapes which remind us how big, varied and full of natural wonders the world is. This French man passionate for travelling since his early childhood invites us in his universe. 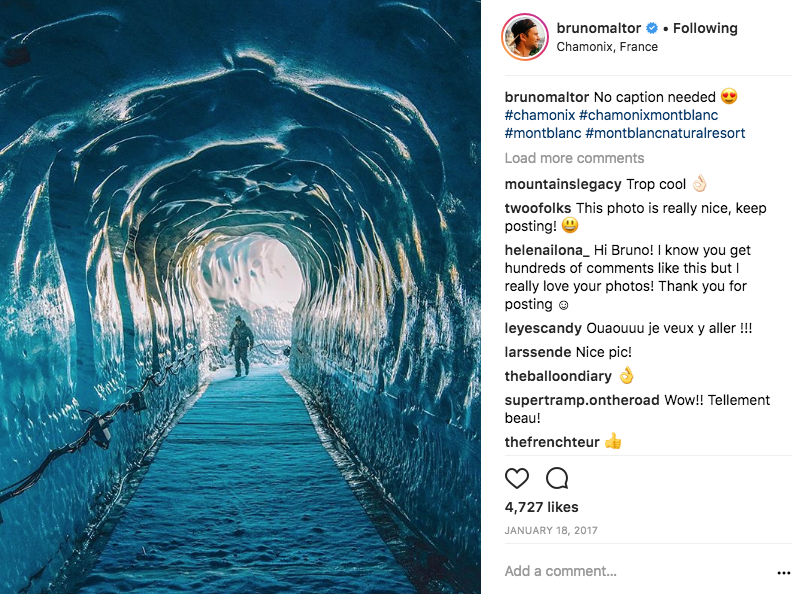 Bruno Maltor lived all around the world and shared incredible landscapes over time. In capitals, in the heart of mountains or in islands, he discloses good addresses, travel tips and beautiful videos. If you’re keen to get on board with him, find out his true-to-life vlogs and live at the pace of his discoveries!